The SAT focuses primarily on logical reasoning and abstract problem solving. For this reason, it is considered to be a “strategy-based test,” because students can boost their scores significantly by implementing specific strategies. Diagnostic Test – The student completes a full-length diagnostic test. Tutor Selection – Our test prep tutoring specialist hand-selects a tutor who will best suit the student’s academic needs and personality. Assessment – Educational Connections and your tutor determine the student’s strengths, weaknesses, and areas for greatest improvement using an analysis of the diagnostic test results. Educational Connections is the premier provider of in-home and individualized test prep in the Washington DC Metro area. Our highly credentialed tutors customize each lesson using research-based strategies for building and strengthening test-taking skills. The caliber of our tutors and the proven approach they use help students prepare not just better but faster. Instead of a generic, one-size-fits-all program, Educational Connections’ tutors quickly assess strengths and weaknesses. Since no time is wasted on what students already know, each session targets areas where improvements will have the greatest impact on test scores. In addition, our experienced tutors know how to use test prep strategies that play to the strengths of each student’s learning style. 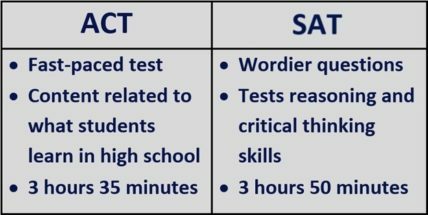 Let us take the guesswork out of SAT prep. Contact us to learn how we can help your student.